Stephen Brenton used to manufacture this tool. View all of the tools that Stephen Brenton used to make. Moto Guzzi special tool for the bottom fork bushing on the fork tube. Photo courtesy of Stephen Brenton. You and several others list a special tool to remove the lock nut holding the bottom fork bushing to the fork tube. 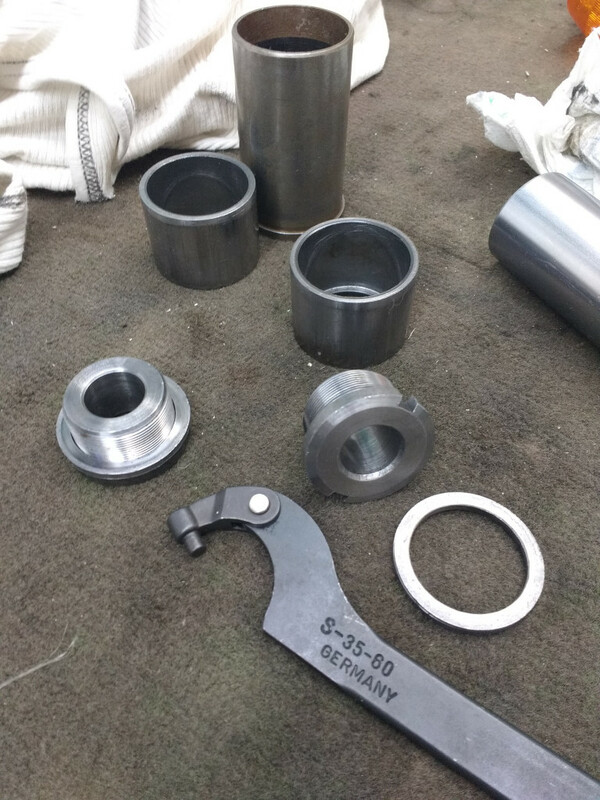 Instead of going through the process of manufacturing a special tool you can just use a hook wrench with the appropriate size (pin max 5 mm × 5 mm or 5 mm diameter), diameter of the tool ~36 mm. I use an adjustable hook wrench (35 mm - 60 mm) with a 4 mm round pin and it worked perfectly. 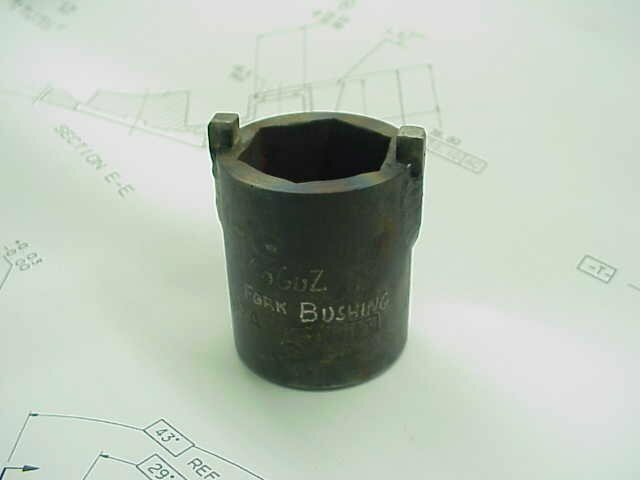 Just make sure you rest the tool on the nut and not the slightly larger shim between the nut and the bushing. Might not work if the nut is seized and rusted in place. 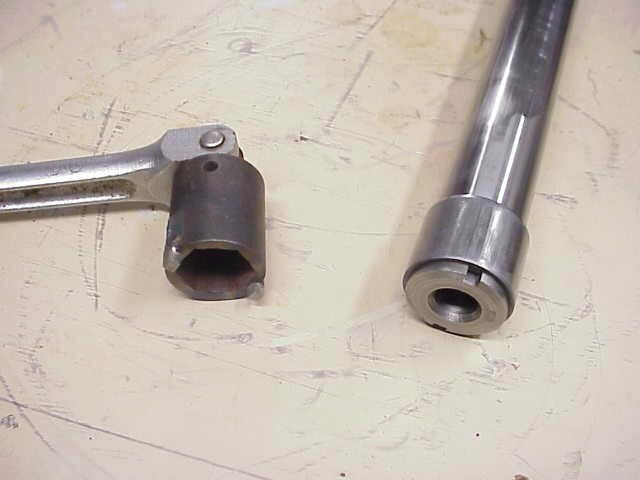 Adjustable hook wrench for removing the bottom fork bushing on the fork tube. Photo courtesy of Marc Schneider.